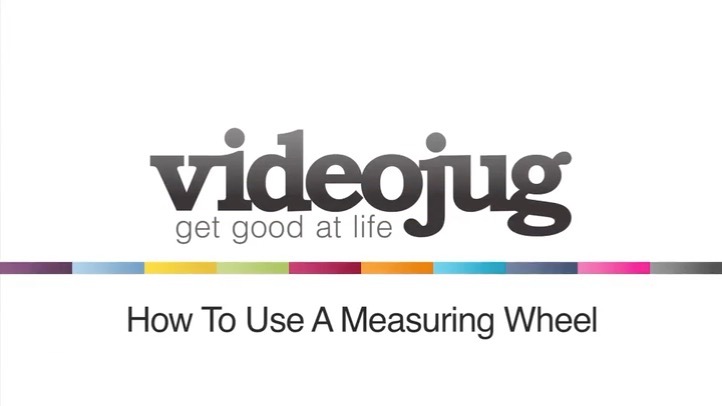 Here is a demonstration of how to use a measuring wheel to measure distances rather than more difficult methods. Learn from this short tutorial. I’m about to show you a measuring wheel. I mean, we’ve all measured things with our tape measures but they only give you up to about 10 feet or most of them are about 5 meters or something like that. You can go up to the bigger tape measures which are these things and they’re so awkward to use and you have to pull them out and etcetera, etcetera. But what you can do is we can use a simple thing called a measuring wheel. Now, this is so simple. All we do is we simply put it together like that and you’ve got a dial on here that you just reset to zero and you just pull it back so it’s on the zero and then we mark, put a mark on the floor that is where we need to go and then we just start wheeling as fast or as slow as you want to and it registers how many revolutions the wheel does and it gives you an accurate measurement of how far you’ve been. And that’s how you use a measuring wheel.